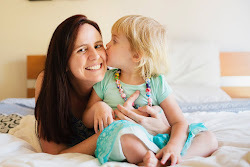 We, like many other parents chose to use a dummy for Miss M and honestly, what a lifesaver. Like an off button for crying. Don't regret our choice for a second. Here's a bit of backstory to fill you in on what's brought us to our decision to say goodbye to the dummy on the weekend. For quite some time (since Miss M was 1), the dummy was only for sleep time and we kept them in her cot. At around 2 years, she started to drop her day naps, and would often still have 'quiet time' in her cot (and had her dummy of course even though she wasn't sleeping). Then when we took the sides off her cot we realised that this would mean she would have free access to the dummies anytime - so this definitely had to change and we started keeping them up high on a shelf. We discussed and suggested the 'swap the dummy' for a toy at the shop idea, but she wasn't too keen on that one. After watching a Peppa Pig "Tooth Fairy" episode we talked about the 'dummy fairy' and Miss M was quite receptive to this idea. We were all set to give it a go a week ago, but then she got sick. After a bout of sickness, and us just giving in to her dummy requests too often - we were having daily battles and tantrums because she wanted it all the time. So we decided enough is enough. When Miss M was better and we talked about it some more (the day before and day of leading up to it). She knew Saturday night was her last night with the dummy. We wanted to watch the Peppa pig "tooth fairy" episode again and then she decided she would wash the dummy in her bath. Putting it in the little bag went well - she wanted to do it straight away after bath. This is it. No going back now. Of course we anticipated a tantrum, it lasted about 1 hour. At one stage I started reading a story to myself, with a really animated voice - it distracted her a bit, and by the 2nd book she gave in and came to sit on my lap. Stories worked for a while, but as soon as she thought of her dummy she lost it again. In, out, dad, mum, milk, water... we tried everything. She woke up once at around 11pm and was quite distraught when she realised her dummy wasn't there, I eventually calmed her down and she fell asleep in my arms again. Miss M went straight to the door to look for her present - all bleary eyed and half asleep. She loved the little bed time beanie kid with his own dummy that the dummy fairy bought her, and carried him around all Morning like a sleeping baby. She mentioned her dummy a few times during the day - asking where it was, and even tried her luck with daddy "You get me my dummy daddy? ", but our answer was the same - "It's gone with the dummy fairy, it's not in this house anymore. We said goodbye to the dummy." I couldn't believe it - and I really hope I'm not jinxing myself by writing this but - she went to sleep herself perfectly, just like normal but without a dummy. And slept the whole night through. I couldn't believe it. A few days later, Miss M and I were at the shops, and I make the mistake of venturing down the baby aisle. "Anything we need from here?" I say, "Dummy for your new baby" Miss M replies (which we have been talking about for a while). I have a quick look and they don't have any newborn ones, to which Miss M figures out "Buy some more for me...". *Face palm. What was I thinking? Minor tantrum in trolley followed. Thanks for this post - we really need to do this. We were doing well at the start of the year but a weekend away threw the minimising program out the window. She' understands perfectly but doesn't see the point of doing without it. Does your little one still drink from a bottle at night too? I'm wondering whether to ditch the both together under the "big girls" guise. Maybe Father Christmas can take them . . .